All great players have one thing in common on the ice: confidence. Our goal is to help you reach your goal. Using our vast experiences and passion for the game - we will build up your confidence through skill development so you can perform better. 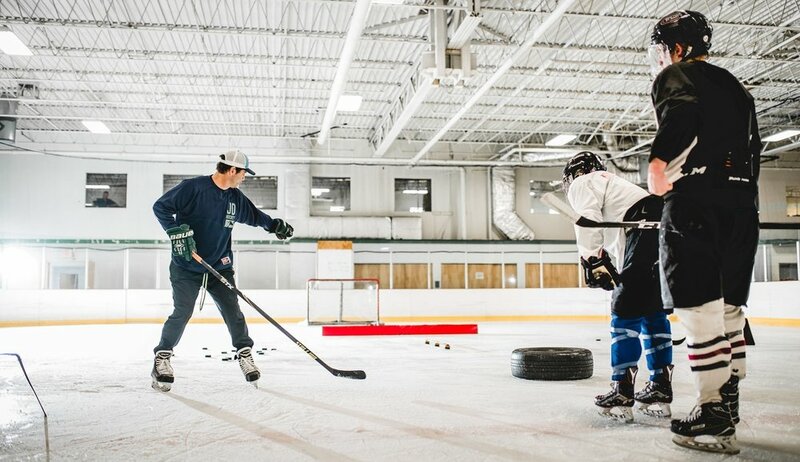 We focus on improving your skating agility, shooting and puck handling skills that will elevate your game, and in return, your confidence. There are no short cuts or gimmicks that will take you where you want to go. What you put in is what you will get out. Three questions to ask yourself: 1) Where are you at? 2) Where do you want to be? 3) How are you going to get there? It’s up to you to make your dreams a reality. Contact us today and get working on creating your path. What are you waiting for?